John Parker introduces us to the import of four WW1 Fokker reproductions to Australia and their public unveiling. There is never a shortage of aviation museums to see in the United States. Frank Hitchens takes us on a short journey around the US, visiting some of the most popular locations. Thought it was hard getting into a parking spot at an Airshow? 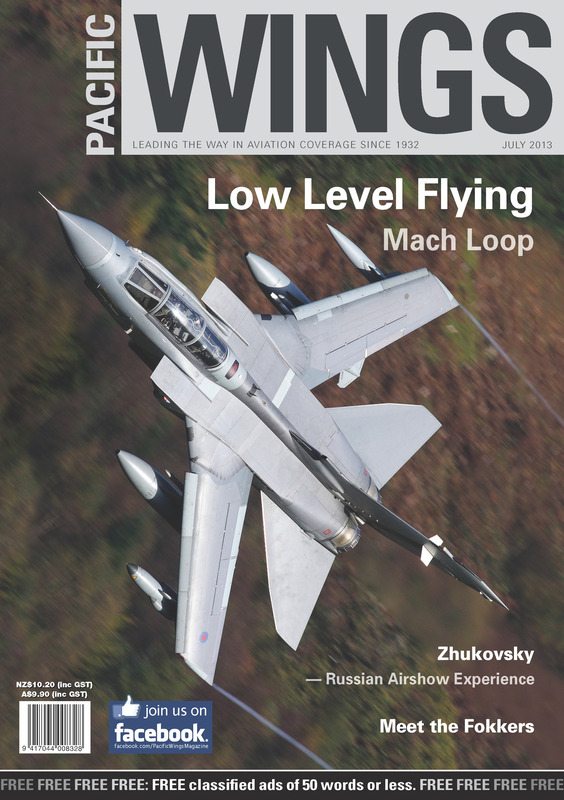 You'll stop complaining when you hear what was involved by Pacific Wings UK correspondent Peter Cooper in his venture to visit the Zhukovsky airshow in Russia. Air Aces: Wilfrid Greville Clouston. Paul Sortehaug continues his series of articles on New Zealand's air aces with the story of Squadron Leader Wilfrid Greville Clouston.